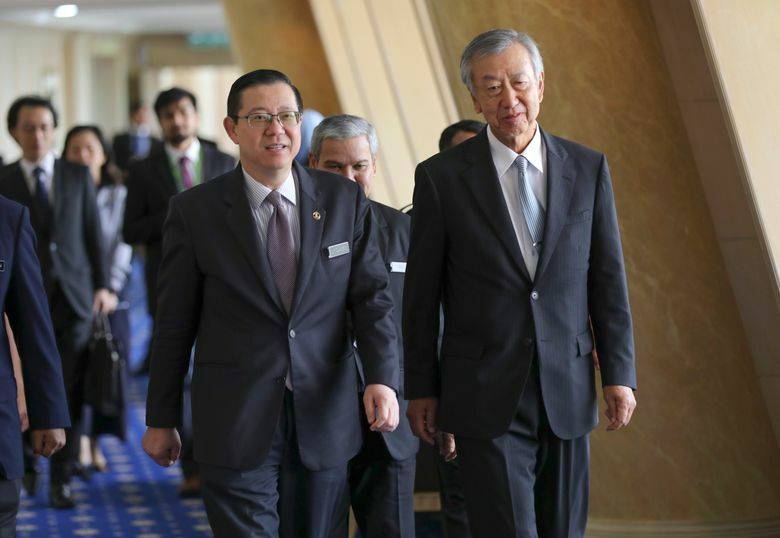 PUTRAYAJAYA, Malaysia (AP) — Malaysia’s Finance Minister Lim Guan Eng said Friday that an apology by Goldman Sachs for its role in the alleged multibillion-dollar ransacking of state investment fund 1MDB was insufficient and that it must pay $7.5 billion as compensation. Goldman CEO David Solomon apologized Wednesday to the Malaysian people for former banker Tim Leissner’s role in arranging bond sales for 1MDB. 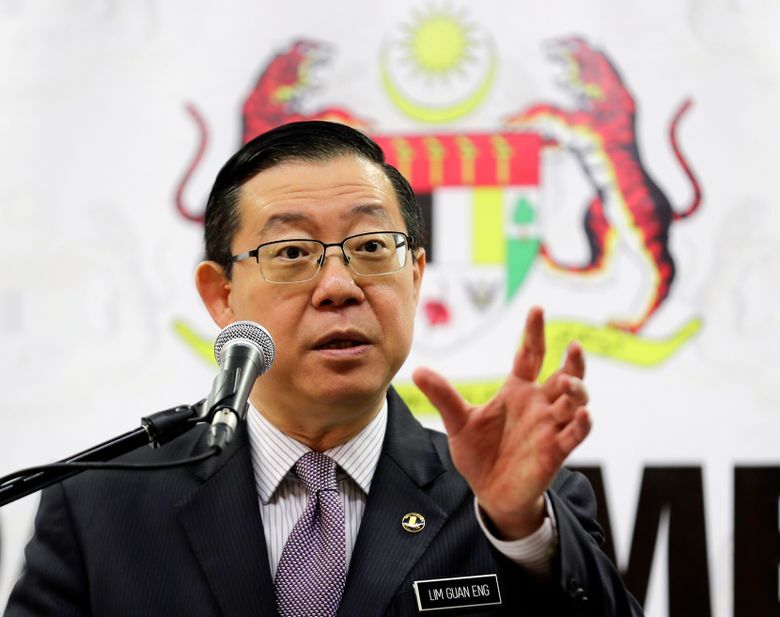 They provided a means for associates of former Malaysian Prime Minister Najib Razak to allegedly steal billions over several years from the fund. The 1MDB fund was set up for economic development by Najib when he took office in 2009. It instead accumulated billions in debt and is being investigated in the U.S. and several other countries. The scandal helped precipitate Najib’s ouster in a historic election defeat last May. Malaysia’s attorney general Tommy Thomas has said $2.7 billion was stolen from three bond sales organized by Goldman subsidiaries and that the investment bank received $600 million in fees, several times industry norms, for organizing the deals. Thomas alleges that Leissner and Ng conspired with Najib associate Low Taek Jho to bribe Malaysian government officials to choose Goldman Sachs to handle the bond deal, knowing the money would be stolen. Leissner, who headed Goldman’s operations in Southeast Asia, pled guilty in the U.S. last year to money laundering conspiracy and conspiring to violate foreign bribery laws. Ng was arrested in Malaysia in early November and Low, also known as Jho Low, remains at large. In statements through a lawyer, he has maintained his innocence. Najib faces multiple corruption charges. He has said that more than $700 million that moved through his bank account was a political donation from the Saudi royal family, but U.S. prosecutors allege it came from 1MDB. U.S. legal filings that are part of a Justice Department civil case to recover assets bought with 1MDB funds allege the money was used to finance Hollywood films and spent on luxuries such as diamond jewelry for Najib’s wife, a yacht, artworks and high-end properties. He was speaking after appointing three banks to arrange a 200 billion-yen ($1.9 billion) samurai bond backed by the Japanese government to help ease the government’s financial burden. 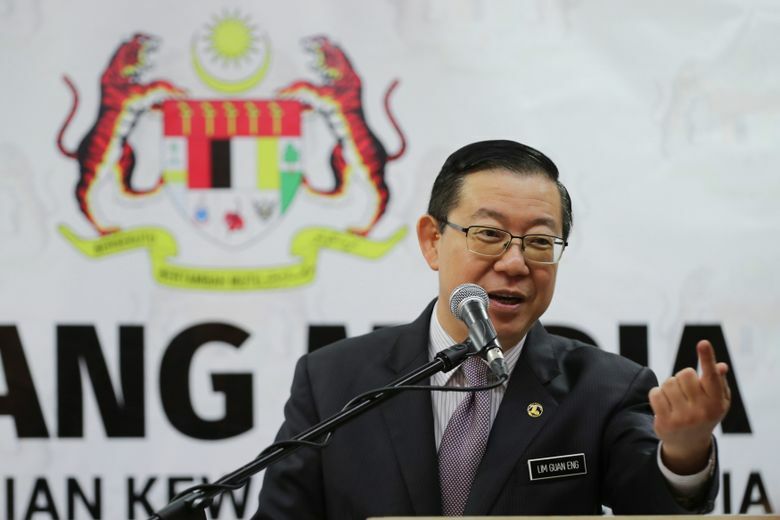 The government has said it needs at least three years to resolve its fiscal woes due to over one trillion ringgit ($243 billion) in debts partly related to the 1MDB scandal.